This is a personal piece I did to test out photobashing techniques. Rather than paint entirely from a blank canvas, I instead layered a dozen or so photos over a really rough sketch, blended them together with layer masks and blending modes, and then painted over the result. 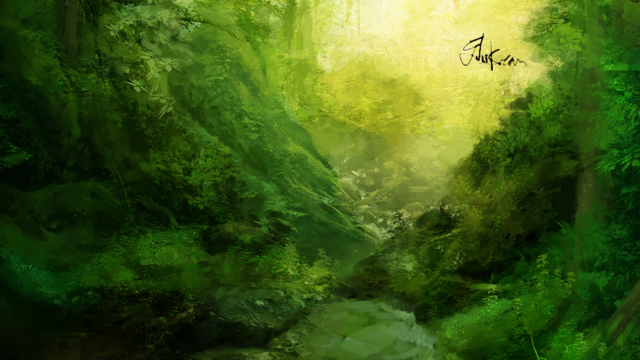 It was a really intriguing alternate approach to environment painting, and I’d like to experiment more with it.